The head of Russia's space agency, pointing to the fate of the USSR after it started to compete with the US Strategic Defense Initiative, has warned that excessive investment into space research can lead to unforeseen consequences. Vladimir Popovkin, the head of Roskosmos, said that Russia must not concentrate on taking first place in the space race, but rather solve more down-to-earth problems in an effort to improve the lives of average Russians. 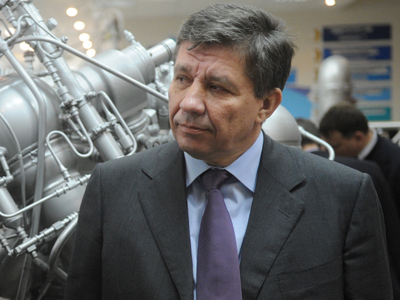 Popovkin’s comments followed the release of a fresh draft of Russia’s space research agency, which suggested that Roscosmos agency must ensure that Russia ranks among the top three in the international space race. 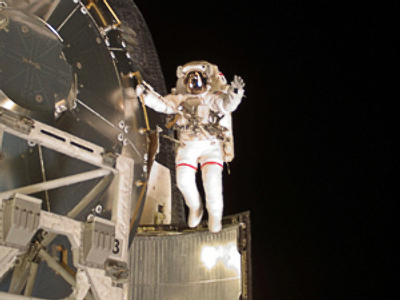 The head of Russia’s space agency said he must be realistic about the prospects. As for Russia taking the leading position in space research, Popovkin said it was simply a matter of getting the necessary funds. “We can be first – give us one trillion rubles every year and we will be first,” he remarked. The official went on to remind reporters that the space race was partially responsible for the collapse of the Soviet Union. “We tried to be the first once, but Buran and Star Wars turned us into such a state that the country ceased to exist. Do we want it for the second time,” Popovkin asked, referring to the Soviet space shuttle program and the common name given by media to the Strategic Defense Initiative – the US project of a space-based missile defense system. Popovkin, who revealed that amount of funding allocated for space research is currently higher in Russia than in US, concluded that Russia had a lot of other problems beside space research.